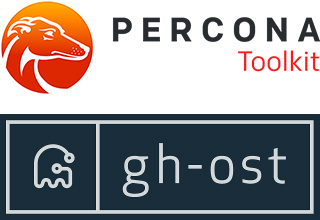 In the previous blog post, we discussed how gh-ost works internally and how it compares to Percona’s pt-online-schema-change. Today we’d like to focus on operations - how can we test a schema change with gh-ost to verify it can be executed without any issues? And how do we go ahead and perform the actual schema change? Ensuring that a migration will go smoothly is one of the most important steps in the whole schema change process. If you value your data, then you definitely want to avoid any risk of data corruption or partial data transformation. Let’s see how gh-ost allows you to test your migration. gh-ost gives you numerous ways to test. First of all, you can execute a no-op migration by skipping the --execute flag. Let’s look at an example - we want to add a column to a table. We here pass access details like user, password, database and table to alter. We also define what change needs to be added. Finally, we define chunk size for the background copy process and what we understand as a max load. Here we can pass different status counters in MySQL (not all makes sense) - we used threads_connected but we could use, for example, ‘threads_running’. Once this threshold is crossed, gh-ost starts to throttle writes. Next, we see information about migration - what tables do we alter, which table is used as a ghost (temporary) table. Gh-ost creates two tables, one with _gho suffix is a temporary table with the new schema and it’s the target of the data copying process. The second table, with _ghc suffix, stores migration logs and status. We can also see a couple of other defaults - maximum acceptable lag is 1500 milliseconds (1.5 seconds) - gh-ost may work with an external script to create up to millisecond granularity for lag control. If you don’t set --replication-lag-query flag, seconds_behind_master from SHOW SLAVE STATUS will be used, which has granularity of one second. Here we have information about throttle flag file - creating it will automatically trigger throttling on gh-ost. We also have an unix socket file, which can be used to control gh-ost’s configuration at runtime. Finally, we have information about progress - nothing interesting here as we ran a no-op change. We also have information about the schema of the target table. Once it’s done, you will see your slave in the following state. Replication has been stopped so no new changes are being added. As long as checksums are identical (no matter how you calculated them), you should be safe to assume that both tables are identical and the migration process went fine. Once we verified that gh-ost can execute our schema change correctly, it’s time to actually execute it. Keep in mind that you may need to manually drop old tables that were created by gh-ost during the process of testing the migration. You can also use --initially-drop-ghost-table and --initially-drop-old-table flags to ask gh-ost to do it for you. The final command to execute is exactly the same as we used to test our change, we just added --execute to it. Once started, we’ll see a summary of the job. The main change is that the “migrating” host points to our master, 172.30.4.4 and we use one of slaves, 172.30.4.235 to look for binary logs. From those we can see how many rows were copied, how many events have been applied from binary logs, if there is a backlog of binlog events to apply, how long the whole process and copying of data took, binlog coordinates where gh-ost is looking for new events, state of the job (migrating, throttled, etc) and estimated time to complete the process. If you are interested in having precise numbers, you can use --exact-rowcount flag in gh-ost. If you use it, gh-ost will execute SELECT COUNT(*) FROM yourtable;, making sure that the number of rows has been calculated precisely. After some time, gh-ost should complete the change, leaving the old table with _del suffix (_yourtable_del). In case something went wrong, you still can recover old data and then, using binary logs, replay any events which are missing. Obviously, it’s not the cleanest or fastest way to recover but it has been made possible - we’d surely take it over data loss. What we described above is the default way in which gh-ost performs migration - read binary log from a slave, analyze table on a slave and execute changes on the master. This way we minimize any extra load which is put on the master. If you’d like to execute all your changes on the master, it is possible, as long as your master uses RBR format. To execute our change on the master, we need to execute gh-ost in a way like below. We use our master’s IP in --host flag. We also use --allow-on-master flag to tell gh-ost that we are going to run the whole process on the master only. As you can clearly see, gh-ost gives you numerous ways in which you can ensure the schema change will be performed smoothly and in a safe manner. We cannot stress enough how important it is for a DBA to have a way to test every operation. Flexibility is also very welcome - default behavior of reducing load on the master makes perfect sense, but it is good that gh-ost still allows you to execute everything on the master only. In the next blog post, we are going to discuss some safety measures that come with gh-ost. Namely, we will talk about its throttling mechanism and ways to perform runtime configuration changes.